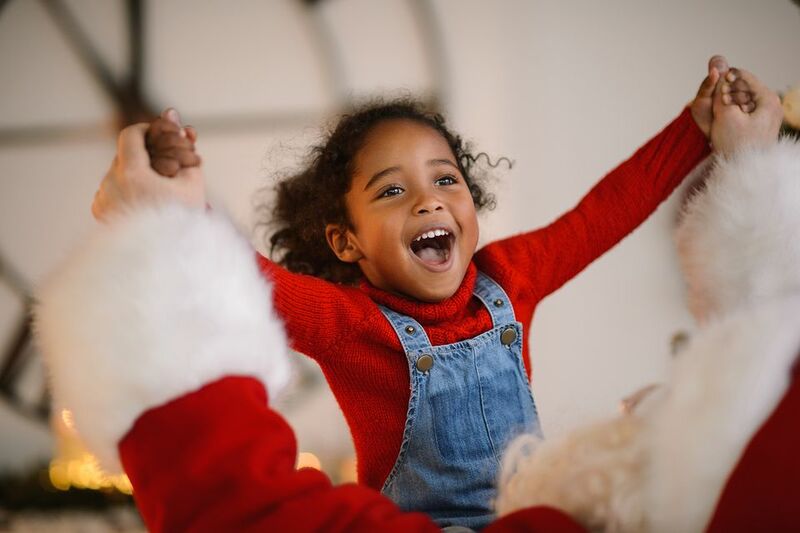 From photos with Santa at Raleigh, Durham and Chapel Hill malls to surprise visits on a farm, there are lots of chances for your children to whisper a holiday wish list to the man in red. Here's a list of holiday season Santa sightings in the Triangle area. Santa will be in Center Court on the Lower Level at Crabtree Valley Mall in Raleigh from Nov. 18 through Dec. 24 during regular mall hours. Making a reservation online means you can avoid those really long waits to see the jolly old elf. Santa will be on duty to hear your children's wish lists and get his photo taken from Nov. 10 through Dec. 24 in Center Court near Belk at Triangle Town Center. Lots of photo packages are available. Santa is there during regular mall hours, but he takes breaks to feed the reindeer. Check the website for times on the day you want to visit. Santa is making a stop at Center Court at Streets of Southpoint near Nordstrom through Christmas Eve, Dec. 24. You can see him during regular mall hours, with extended hours during the week before Christmas. Streets at Southpoint suggests you make a date with Santa so you don't have to stand in line. But you don't need to have a reservation; you can just take your chances in line if you prefer. Photo packages are available but also not required as part of your visit. Santa won't be hanging around the inside of North Hills Mall this holiday season, but he will drop by the Shepherd's Way Farms Christmas Tree Lot between Lassiter Mill Road and JC Penney from 1 to 3 p.m. on Dec. 9 and Dec. 16. Bring your own camera or use your phone if you want to capture the event. This 2017 holiday season marks the 40th anniversary of the Santa Train at the Museum of Life and Science in Durham. The Ellerbe Creek train ride travels to the museum's North Pole, where children meet Santa against a soundtrack of holiday music and drink hot chocolate at the Santa Train station. The Santa Train runs on Dec. 1 through 3, 7 through 10, 13 through 17, and 20 through 22. Trains leave every 20 minutes from 5:20 to 8:20 p.m.
During Winterfest at Spring Haven Farm in Chapel Hill, you can visit Santa in a completely different setting. Here he will be surrounded by baby goats, and you also can feed the horses and get acquainted with Peppa Pig. You can also ride a train, go on a hayride, or just hang around the fire and have some hot chocolate. Santa will be at the farm at 2 p.m. on all weekends in December: Dec. 2 and 3, 9 and 10, 16 and 17, and 23 and 24, Christmas Eve.